Whether you are taking a hike up the Rocky Mountains or exploring the streets of Barcelona, a backpack can be your best friend. You’ll have the opportunity to bring all of your belongings with you without them getting in the way. While most people choose to use suitcases on their trek to the unknown, they aren’t very practical. Not only are they bulky, but they take time to organize. When you are on the go, simplicity and organization is key. With a backpack, you can keep your essentials organized and safe, allowing you to enjoy the journey ahead of you. Traditionally, backpacks are designed with a purpose in mind. When you are trying to decide which backpack to get, you may run into two distinct types of backpacks: hiking and traveling. While they may appear to be similar at first glance, they are vastly different. That being said, you don’t have to stick with one particular backpack. These backpacks both have unique features that set them apart. To make the most out of your hike or trip, you should choose a backpack that fits your needs and style. Hiking backpacks are designed with the outdoors in mind. One of the easiest ways to tell these backpacks apart is their elongated shape. They tend to be rather tall, with the opening located on the top. They also have a number of adjustable straps. These straps adjust the fit of the backpack on your body, making it incredibly comfortable to travel or hike with. They are also designed to be rugged. Many hiking backpacks have waterproofing features to keep the contents safe. This is a great feature regardless of where you are going. These backpacks have a more square shape compared to hiking backpacks. They tend to be a bit smaller in size so that they can fit in tight compartments. Travel backpacks also open like a traditional suitcase with zippers. The front flap opens to provide access to all of the contents, making them easy to pack and unpack in an instant. These backpacks tend to have a lot more in terms of storage and organization. Because they are designed with travel in mind, there are multiple pockets to keep valuables safe. Traveling with a backpack can save you a lot of money and headaches. Not only are they easy to pack and keep track of, but they are also incredibly easy to carry around. 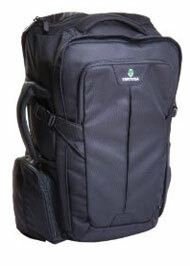 In fact, many travelers use a backpack as a carry on, saving them the cost of checked luggage. Backpacks are incredibly versatile, providing you with the storage space you need in a small footprint. Whether you are packing for a weekend hike to the mountains or a 3-week European tour, a backpack will have you covered. 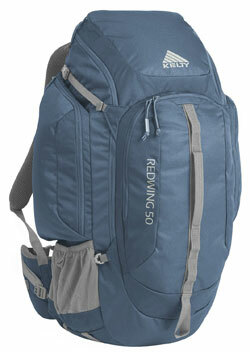 As one of the best selling backpacks around, the Kelty Redwing has a lot to offer. This 50-Liter backpack is designed to accommodate travelers and hikers alike. It has an adjustable suspension strap and hip belt for maximum comfort. Additionally, it has a vented back to keep you cool. The company actually incorporates aluminum into the build of the backpack. It helps to keep it light, yet sturdy. It has a unique zipper system that can be opened from the top or like a traditional suitcase, adding to its versatility. The multiple pockets and compartments will keep all of your belongings safe, regardless of your destination and way of travel. It even has bottle holders on both sides to ensure that your water isn’t far off. The company also has a smaller variant with the Kelty Redwing 44-Liter. 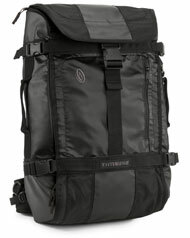 The Osprey Farpoint 40 is designed for travel, but incorporates many hiking backpack features. One of those is the excellent suspension system. 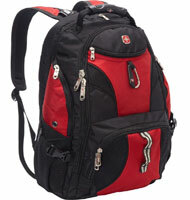 It has padded shoulder straps and a hip belt to take the load off of your back. If you plan on using this on an airline, these straps come off. They can be stored in the backpack and out of sight. There’s also a side handle for quick moving. The backpack is incredibly sleek, yet the 40 liters is roomy enough for the essentials. There’s even a padded laptop sleeve on the front to protect electronics. Ultimately, it is a streamlined option that is effective and versatile. 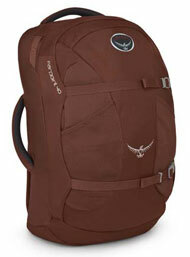 Osprey also offers a 55-liter version that comes with a detachable day backpack. This backpack can withstand anything thrown at it. It has a completely waterproof exterior, including the seams. It even has a moisture shedding reverse coil zipper that keeps the contents of the backpack dry. It opens from the top and holds a key keeper, organizer, and padded sleeve for a laptop or water bladder. The shoulder and hip straps are all padded while the back panel allows for air circulation. 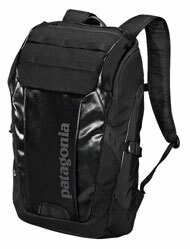 The exterior of the backpack also has additional lash points to attach other bags or accessories. While it is designed for the outdoors, its simplicity and versatility certainly make it a great choice for travel. With it’s small footprint, the backpack will easily fit into any overhead compartment. The Just Porter Sable Rucksack is cleverly designed to be minimalistic, yet effective. It houses a number of useful features. On the exterior, there are numerous pockets to protect your belongings. The main interior of the bag can be accessed via a flap that is held down with magnetic straps. Inside, the lined interior houses even more storage and a padded laptop pocket. The pocket can be accessed from the outside of the bag, removing the need to dig inside. Made from military grade truck tarpaulin, it’s incredibly sturdy. On top of all of that, this backpack is sleek and stylish enough to show off. Designed with air travelers in mind, the Timbuk2 Aviator travel backpack makes it easy to get from the airport to the streets. The bag opens like a suitcase, allowing you to see and access everything in the bag. There’s also a big pocket that holds laptops up to 17 inches in size. On the exterior of the bag, you can easily hold your cell phone and documents in the two pockets. They make it easier to access important items in a moment’s notice. To carry it around, the backpack has adjustable shoulder and hip straps. The padded back plate will keep you comfortable while still providing air circulation. Once you’ve arrived at the airport, the straps can easily stow away. 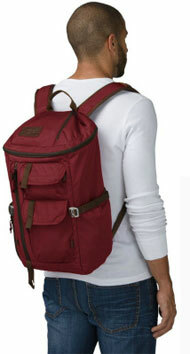 Available in multiple colors, the backpack is reasonably priced around $180. With all of its versatility, it’s a great option for travelers and hikers alike. While this bag looks like a backpack, it functions more like a suitcase. 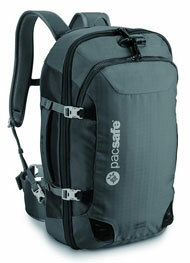 Unlike other backpacks that have multiple pockets, the Pacsafe Venturesafe 45L GII opens to a single large compartment. The zippers open to expose the entire interior cavity, which contains a mesh compartment and straps to hold down your belongings. It’s a great choice for those who know how to pack a suitcase. To hold a laptop or small electronics, there is an additional compartment on the front. One of the most unique things about this backpack is the safety features it has. The zipper is puncture resistant, helping to prevent theft. It also has a bar that acts like a lock to hold the zippers in place, preventing any prying eyes from getting into the backpack. The padded straps also stow behind the molded back plate so that you can carry it like a suitcase with the handle. The Tortuga 44L Travel Backpack has a bit of an urban flair about it, making it great for travelers. It is made from a sturdy fabric, helping to prevent tears and theft. While not completely waterproof, the bag is strong enough to withstand some damage. It has a panel opening that provides access to the spacious interior. It has multiple pockets throughout, helping with organization and security. As for comfort, the backpack has padded shoulder straps. The hip strap has substantially more padding, allowing you to carry it for long periods of time without experiencing fatigue. To stow it away, the straps and hip belt can be tucked away. There are also multiple handles to carry it in a variety of fashions depending on the situation. If you are looking to lug around a lot of your belongings comfortably, this backpack is a great option. 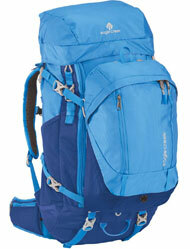 The Eagle Creek Deviate Travel Pack 60L measures 22 inches tall, allowing you to carry a considerable load. That being said, the frame of the backpack is made from polycarbonate, making it light and durable. It has a padded back panel with air mesh to keep you dry. The shoulder and hip straps are also contoured and padded for added comfort. To keep your contents dry and safe, the backpack has a unique cover that fits over the top of the bag. This allows moisture to roll off instead of seeping in through the zipper. Additionally, this backpack comes with a detachable daypack. It can be removed for a lighter load throughout the day or attached for additional storage. Either way, it looks great and adds further functionality. 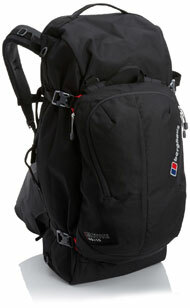 The Berghaus Motive 60 + 10 Rucksack is another hiking or traveling backpack with removable storage. The main backpack features strategically placed zippers. They are hidden to increase security. The removable daypack quickly attaches and covers the exposed zippers, providing a seamless look. One of the backpack’s strongest features is its straps and padding. The shoulder and hip straps are heavily padded, providing comfort all day. In addition, the back plate is contoured and padded. It incorporates padding on the important stress points, such as the lower back and shoulder area. If you need to hide the straps, a panel zips onto the back to tuck them away. The handles can then be used to bring it onto an airplane or bus with ease. The SwissGear Travel ScanSmart Backpack is designed for organization. 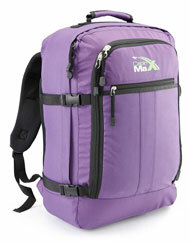 The backpack includes a plethora of organizers and pockets on the inside and outside. In fact, it has an easy access laptop pocket that can be accessed from the side. It actually helps to speed up security checks. You can open up the laptop fully to get scanned in an airport without having to remove your laptop. In essence, the back is incredibly checkpoint friendly. That being said, it is also sturdy enough for outdoor hiking. The rough polyester fabric is strong enough to withstand the elements. It even has an airflow system in the back to prevent you from getting too hot. While it doesn’t have a hip strap, the shoulder straps are padded for comfort. It also has multiple latch points on the front for additional accessories. If you are looking to use a backpack as hand luggage, this option is perfect. It is the maximum size allowed for carry on luggage, allowing you to pack up to 40L of your belongings while avoiding the checked baggage fees. It’s made from water resistant 600D material, ensuring your belongings are safe at all times. It has some additional pockets on the front to keep your important documents on hand. 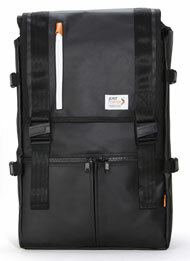 The padded straps will also make it comfortable enough to carry to your next destination. Plus, it is available in a wide range of colors. You won’t have to skimp on style while you travel.